The Government previously announced that 18 measures would proceed, three would be amended and seven would not go ahead including the former government’s proposal that would have impacted on car fringe benefits and the cap on self-education expenses. It is intended that most of the measures that are to proceed will pass into law during 2014. The Bills containing the repeal of the carbon and minerals rent resource tax and the measures listed above were sitting before the Senate at the time of writing. It is anticipated that these changes will pass through Parliament shortly. As the company loss carry-back tax offset does apply in the 2013 income year, it is important for taxpayers who are able to carry back losses that they get their claims right. The ATO has advised that it has received a number of 2013 Company tax returns where the loss carry-back tax offset has been claimed incorrectly. This has caused delays in processing of these returns. item 8 label M is not completed. If you think you are able to claim this offset, see your registered tax agent who will be able to assist you and help you get your claim right. The businesses are being contacted directly even if they are clients of tax agents. If you have received one of these calls from the ATO and are not sure whether you have an obligation to lodge a “Taxable Payment Annual Report”, you should speak to your registered tax agent. If you have not received one of these calls but are concerned whether you have an obligation to lodge one of these reports, you should also speak with your registered tax agent. For the ATO’s advice and information about what to check for, visit their website. The ATO has published a document entitled "Employer FAQs – Getting ready for the standard". The standard is a part of SuperStream, a package of measures designed to enhance the superannuation system. Under the standard, employers will make superannuation contributions on behalf of their employees by submitting data and payments electronically in a consistent and simplified process. If an employer has 20 or more employees (large or medium employer) – they must start using the standard from 1 July 2014. If an employer has 19 or fewer employees (small employer) – they must start using the standard from 1 July 2015. For a new employer (starting their business after 1 July 2014) or for an employer that grows to have 20 or more employees after 1 July 2014 – they must start using the standard from the first contribution date where they exceed the threshold of 19 employees. In November 2013, the ATO sent information directly to medium and large employers to encourage them to investigate their options and start preparing for the data and payment standard. All employers affected by this change should start preparing for the changes. It is important that employers affected by these changes understand their obligations and are able to meet the requirements. Your tax agent will be able to assist you to understand and meet your obligations. The ATO has posted a short video presentation containing more information about this change. that they will be lodging future returns. If you have an SMSF in its first year of registration and are not sure if a return needs to be lodged or not, you should speak with your tax agent to ensure any lodgment obligations of your SMSF are met. Note that a “return not necessary “(RNN) for an SMSF is only available for the first year of registration. The ATO advises that a taxpayer or their authorised representative can use "Copies of tax documents request – individuals and authorised representatives" form to request copies of tax returns, payment summaries and notices of assessment. There is a separate form for businesses. The ATO has published its Business Communicator for December 2013. Business Communicator contains news and updates for businesses with an annual turnover between $2 million and $250 million. Interim Decision Impact Statement – MBI Properties Pty Ltd v. FCT. For a copy of this publication, visit the ATO website. This document has useful general information for businesses. However, for specific information about certain issues that may be referred to in the document, you should speak with your tax adviser. The ATO advises that the small business benchmarks have been updated with data from the 2010–11 financial year. 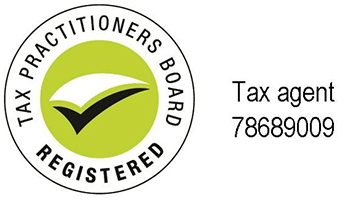 If you are unsure how the small business benchmarks apply to your business, see your tax agent for further information. The ATO has advised that the generation of December 2013 activity statements may be delayed for some taxpayers who varied their September PAYG instalment or chose a different PAYG reporting option. The ATO says that it has delayed the issue of these statements to ensure these variations and elections are accurately reflected on the December activity statement. All activity statements will be issued before the end of January 2014, so if your statement goes to your tax agent, they should receive them well before the February 2014 lodgement and payment due date. If you have not yet received your December 2013 activity statement, contact your tax agent to see if they have received it already.